This is a special time for the amateurs of ATP tennis on the French Riviera as the Monte Carlo Rolex Masters is taking place this week! Although I’ll confess to always keep an eye on Rafa Nadal’s performances on clay, this is not the case for all Monte Carlo visitors indeed. If you’re present in the French Riviera, looking for unique experiences, AND you have already covered the different sightseeing tours in Monaco, here is an interesting excursion you can make in one day. Leaving from Monaco, go to Vence, Saint-Paul de Vence and Grasse to discover the magical settings, rich architecture and art history that this region has to offer. Marc Chagall’s true home may be the charming village of Vence. 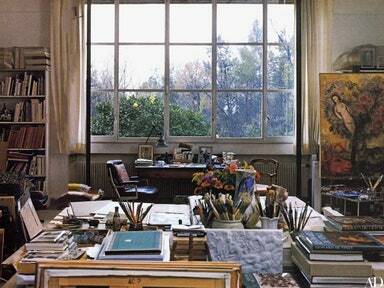 After his exile in the United States during WWII, Chagall return to France and settled in Vence in 1949. That a man with such fascination for light and talent to capture it chose to make Vence his home just shows the beauty of the region and uniqueness of Vence. Vence at the time was an incredible artist hub, which attracted the likes of Matisse, Picasso, Magnelli, Léger. The lovely countryside has remained natural and it is far from the crowds and construction. A 5-10 minute walk from the center of town will take you to the Matisse Chapel, or the "Chapelle du Rosaire des Dominicaines de Vence", which was designed and decorated by Henri Matisse between 1947 and 1951. This all-white chapel used stained glass to bring "natural" colors inside, and Matisse considered it his masterpiece. Whilst it is often compared to Rothko’s Houston Chapel, it is unique in the sense that all the intricacies of the building were dictated by a single artist’s wholistic vision. Marc Chagall and his wife move from Vence to Saint-Paul de Vence in 1966, to settle in a house that they baptised “La Colline” (“The Hill”). Marc Chagall’s production as a painter was important in this house before he passed away in 1985, and often reflects the loving, calm and peaceful life that Chagall and his wife were leading in this house. The Fondation Maeght's permanent collection in Saint-Paul de Vence is also worth a peek, and features several of Marc Chagall’s works. In Saint-Paul de Vence, you can enjoy lunch in La Colombe d’Or, a 25-room boutique hotel with excellent food and atmosphere. Former guests like Picasso, Chagall, Matisse, Miro, Aimé and Marguerite Maeght have all left a small part of their legacy at La Colombe d’Or in exchange for the good times they used to have there. 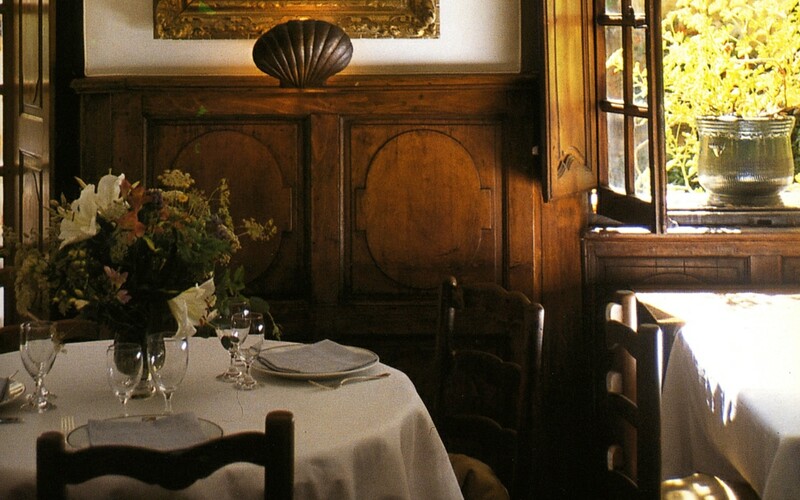 The place is a simple yet chic place, with elegant rooms and tasty Provençale dishes. Grasse is the foremost city in the world for perfumes. It produces over two-thirds of France's natural aromas (for perfume and food flavorings). The industry’s turnover is more than 600 million euros per year. Grasse's particular microclimate encouraged the flower farming industry. It is warm and far enough inland to be sheltered from the salty air. Key to the birth of this industry is the jasmine that was brought by the Moors to the South of France in the 16th century. Nowadays, Grasse harvests twenty-seven tons of jasmine each year. Enjoy a visit of the the perfume museum as well as perfume factories in Grasse (such as Molinard). The French Riviera is home to many michelin starred restaurant, notably three-star Alain Ducasse’s Le Louis XV in Hotel de Paris, Monte Carlo. On your way back to the Principality of Monaco, you may also want to experience Château de la Chèvre d’Or, which will delight you with its breathtaking view surprise you with its sunny, aromatic mediterranean cuisine. Experience the best private guided-tour in the Riviera and other destinations in France with Driver-Guide. Our licensed-guides are the real stars of the Riviera, and will make your private tour special. Build your itinerary, chose your guide and limousine, and get ready for a magical private tour of the French Riviera.